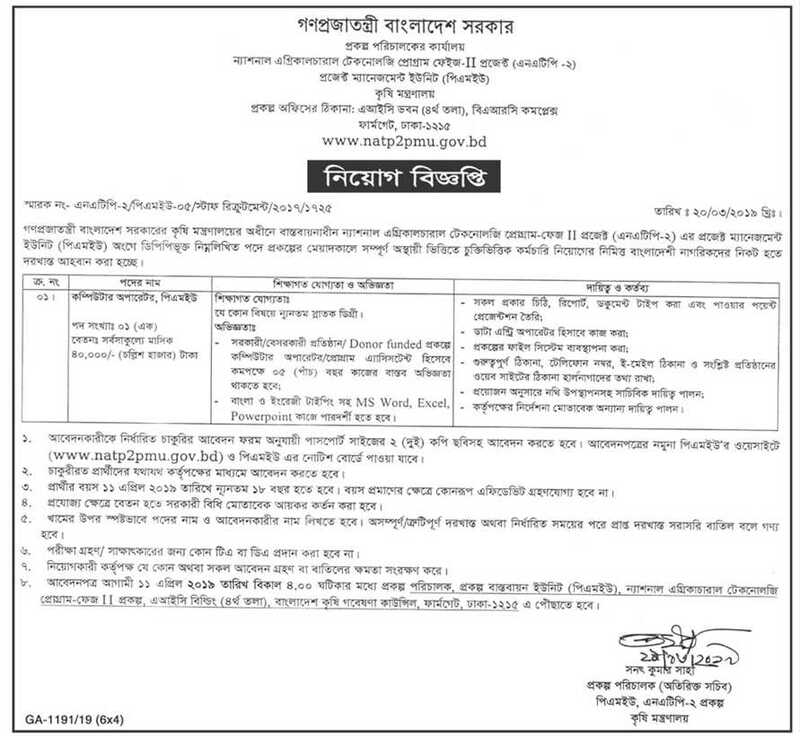 Ministry of agriculture job circular 2019 has been published. It’s a huge opportunity to the unemployed people. Anyone, can take this opportunity. This will be helpful to prosper in life. Generally, maximum people want to join in government sector. Bangladesh government providing many facilities for the govt. employee. A number of people think that they want to work in government sector. So,that kind of people can apply for this job. 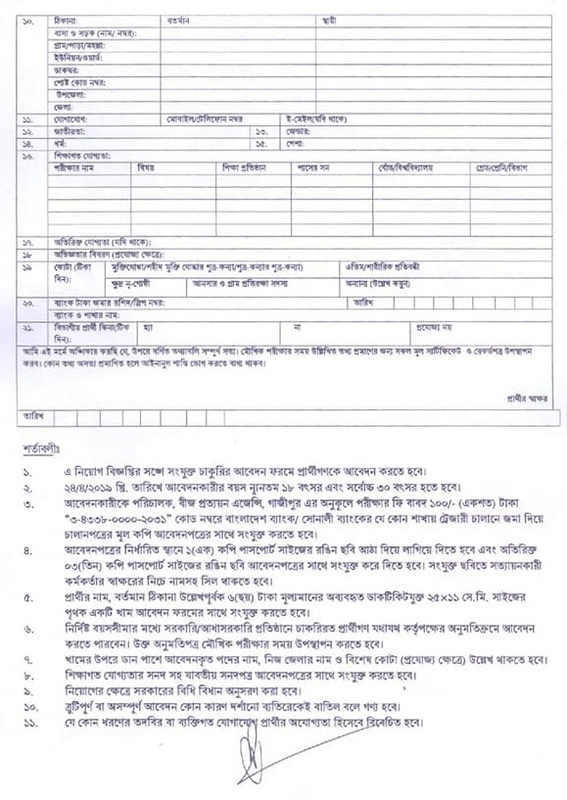 To get Ministry of agriculture job circular 2019 related information, you can visit our website that is jobs.lekhaporabd.com. If you want to apply for this job, you should submit your application within 11 & 22 April 2019. 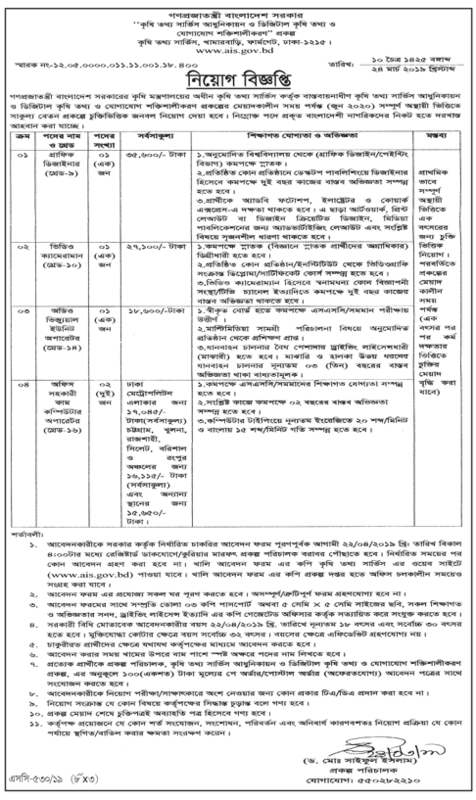 Ministry of agriculture job circular has been converted to an image file, so that everyone can read easily or download this job circular. 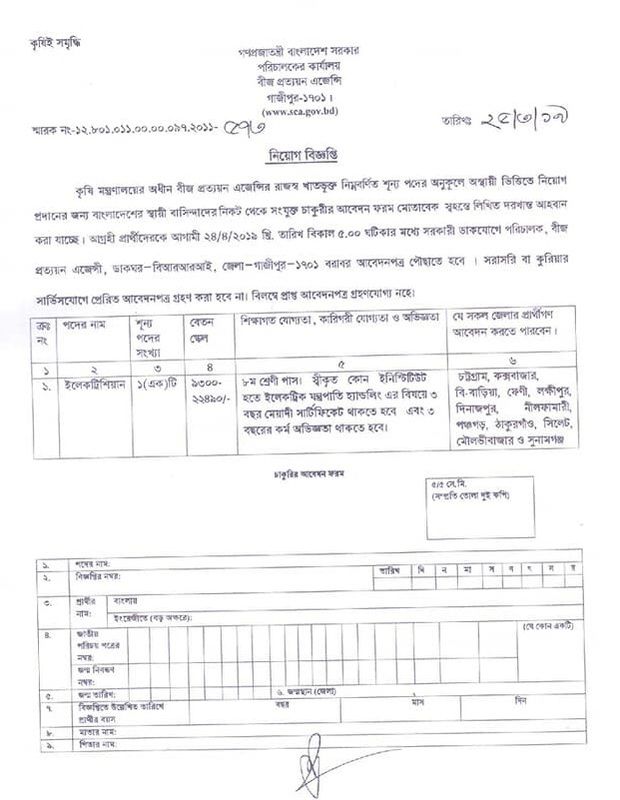 Ministry of agriculture job circular 2019 has been given bellow.